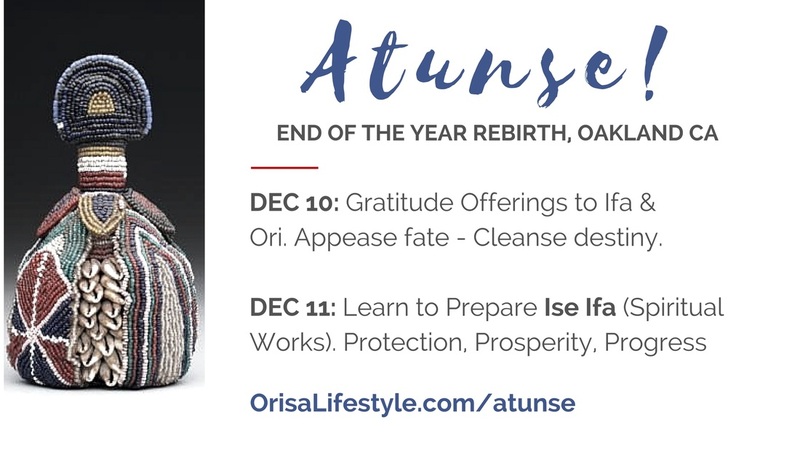 DEC 10 Schedule includes: Offering Gratitude to Ifa and Ori, Seeking and Offering Forgiveness, Setting Intentions for Finishing Strong, Keeping Agreements, Lessons Learned, Letting Go and Spiritual Purging. DEC 11 Schedule includes: A FULL DAY of learning Ise Ifa, spiritual recepies and remedies for Protection, Prosperity, Patience, Comfort and Victory over enemies. New book releases by Baba Obafemi Origunwa and Chief Lanre Okemuyiwa. The Year End Ceremonies will occur at an undisclosed location. Information packets with location will be emailed after ticket purchase. The venue is centrally located. Enjoy a FREE conference call about living with spiritual purpose, precision and power!